When it comes to America's favorite fast food, chicken reigns supreme. Chick-fil-A is the highest ranking fast food restaurant in the country for customer satisfaction, according to the American Customer Satisfaction Index Restaurant Report 2016 released Tuesday. The Georgia-based chicken chain took home the top spot by a wide margin with 87 points on a scale of 100. The family-owned company has been expanding across the country and is currently in 43 states and Washington, D.C., and had more than $6 billion in sales last year. At a time when restaurants are testing out new menu items in an effort to draw in more customers (kale, anyone? ), Chick-fil-A has been sticking to its roots. 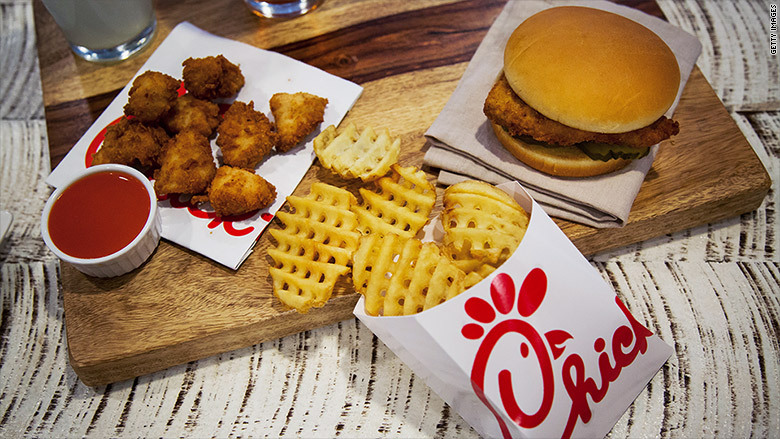 "They have a pretty limited selection of offerings and are really focused on chicken and chicken sandwiches," said Forrest Morgeson, director of research at American Customer Satisfaction Index. "They focus on what they do best, and it does well." The company has taken some heat for its politics, but Morgeson noted that the survey focuses only on the experience of diners. Papa John's came in second place in the fast food rankings with a score of 82, a 5% increase from 2015. Little Caesars and Arby's experienced the biggest score changes with 9% and 8% gains, respectively. 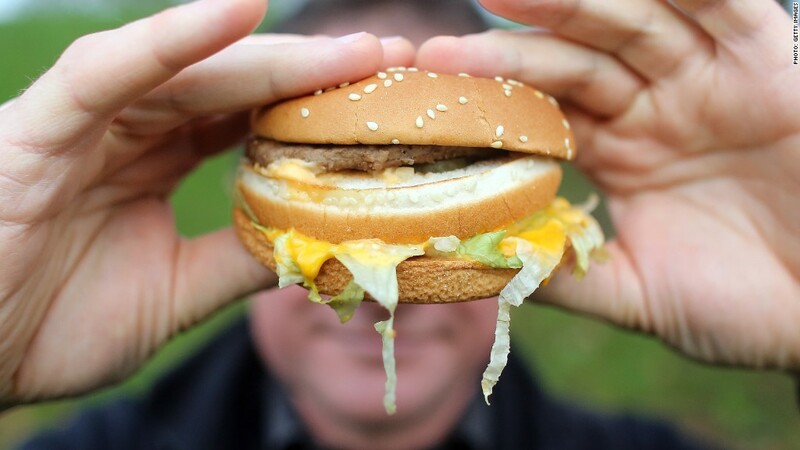 Overall, consumers seem more happy with the fast food industry: Customer satisfaction increased 2.6% from last year. But there was one glaring exception: Chipotle. The hits keep coming for the burrito chain. The multi-state e.coli outbreak that began toward the end of 2015 has taken a toll on customer satisfaction. Its score tumbled 6% to 78. When a restaurant experiences that big of a dip it's usually due to a price increase, explained Morgeson, which isn't the case with Chipotle (CMG). "This is quality related," he said. "We generally see in these kinds of situations, if they can turn it around quickly and right the cause ... they will probably recover pretty quickly." McDonalds (MCD), which saw its score jump 3%, still remained in last place. "With a restaurant that has been around for as long as they have ... you get a brand fatigue phenomena going on," said Morgeson. In the category of full service restaurants, Cracker Barrel ranked the highest in the industry, followed by LongHorn Steakhouse (DRI) and Texas Roadhouse (TXRH). The surveys were based on responses from almost 5,000 diners in March.